Thank you for your interest in supporting this event! We, the Taiwanese Student Association (TSA) at the University of Washington, dedicate countless hours each year working to help put on this amazing event. So, why should you consider sponsoring the UW Night Market? 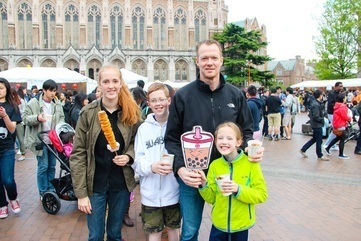 Due to its location at the center of the UW campus (Red Square), the UW Night Market offers an excellent opportunity to reach out to students (both attendees and passerbys) and attracts families, alumni, and community members as well. In addition, its reputation as one of the largest student-run events at UW (attracting thousands of people annually), our event offers an unparalleled opportunity to broadcast your brand/institution to a receptive and engaged audience. Now in its 17th year, the Night Market has established itself as one of the hallmark events of the student community at UW. It is highly anticipated not only at UW but also by the surrounding Seattle community. In addition to partnering with the government of Taiwan, we also enlist volunteers from local high schools to increase community involvement. The impact from Night Market can be directly felt through the creation and popularity of similar events, including those organized by the Asian Student Commission (ASC), the Taiwanese Overseas Student Association (TOSA), and the Indonesian Student Association (ISA). For its role in advancing the student experience at UW, TSA was awarded the HUB Husky Tradition Award in 2013 for helping to create and define campus traditions (through events like Night Market). The award came with a funding grant and commemoration on a plaque in the Husky Union Building lobby. Each year, the UW Night Market is heavily promoted through social media, our website, flyers/posters, community newspapers, newsletters, word of mouth, and other forms of media. Night Market is covered extensively in a variety of both on-campus and off-campus media. 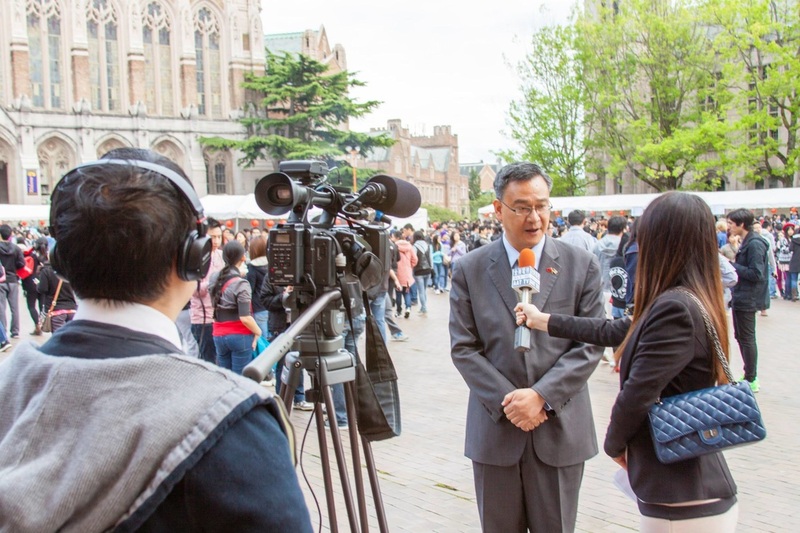 In addition to coverage by the UW Alumni Association, the event was also promoted in the Chinese-speaking community as part of "Taiwanese American Heritage Week". Each year, we produce and edit a commercial for broadcast on AAT TV. Following the event, The Daily (UW's student newspaper) covers our event in its Monday issue. The overseas Chinese community also reports on our event through TV news coverage. Taipei Economic and Cultural Office Director-General Andy Chin (金星) being interviewed by AAT TV. Although Night Market is run by and targeted primarily toward students, its scope and reach extend far into the community. It offers a unique opportunity to target a young, active demographic due to its prime location and engaged audience. Your support would not only be beneficial to your business/institution, it would also ensure that this annual UW tradition remains vibrant and impactful for many years to come. We appreciate your consideration and look forward to hearing from you. Thank you for your support! ﻿﻿Interested in supporting UW Night Market 2018? ​We have various sponsorship options available and will work with you to fit the needs of your business or organization. ​Please feel free to contact us at sponsor@uwnightmarket.com for any inquiries.